Dogs are our best friends, and, sometimes, our worst nightmare. Let Come and Train it K9 train your dog and we guarantee you will see an improvement in their behavior. Our professional, private dog trainers can teach you, as well as your dog, methods that help you and your dog grow together. Our in-home training packages are a 2-phased approach. We work with your schedule to set up private in-home training sessions. Our trainer comes to your house and works with you and your dog(s) on specific obedience issues. We want you at our weekly group classes held at neighborhood parks. You’ll work with our trainers as we introduce your dog to new distractions. You’ll learn how to work your dog through those distractions. You’ll have the opportunity to socialize with other Come And Train It graduates! Share tips and learn how others have utilized our training style in their family. 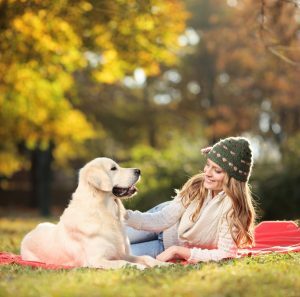 In-home private dog training is an excellent option for those looking for an alternative method of dog obedience schooling. If you are looking for a way to train your dog at home and just need help to implement the right training techniques, then this option is for you! We can schedule a weekly routine and come to you so you get the full attention and time of one of our professional private dog trainers. Private, in-home dog training means no more worrying about crowded classes in a room full of rambunctious animals and scrambling dog owners. It means no more trying to get the attention of the trainer between the barking. Now, we come to you for a private one-on-one experience unlike any other. You gain invaluable time and experience with your dog leading to a stronger bond between you and your animal. Of course, you can expect obedience and behavior to improve as well, but above all, you will have the confidence and knowledge needed to continue using what you learn from us to better yourself and your pup for a very long time. Contact us today to learn more or call now to schedule an appointment and get started! We are ready to help!